Janette Deacon (neé Buckland) was born in 1939 in Cape Town, where she attended school and went on to study Archaeology at the University of Cape Town. Janette was a member of the Arts and Culture Task Group (ACTAG) and secretary of its Heritage Subcommittee in 1994/95, was a member of the writing team for the White Paper on Arts and Culture in 1995, and of the writing team for the new National Heritage Resources Act and the National Heritage Council Act. After her retirement, she was appointed to the council of the South African Heritage Resources Agency (SAHRA) and she is also a member of the Western Cape Cultural Commission. When employed at the National Monuments Council, she was a member of the South African World Heritage Convention Committee. She is a member of the board of trustees of the Trust for African Rock Art and Secretary of the Southern African Rock Art Project. She was Secretary and member of council of the Southern African Society for Quaternary Research, has been a member of council of the South African Museums Association and is a Member of the Board of the SAMA School of Conservation. She was a Vice President of the Pan-African Association for Prehistory and Related Studies. 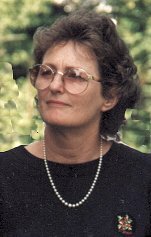 Janette Deacon is Honorary Secretary of the South African Archaeological Society and was awarded the President's Medal by the Society in 1997. She retired in 2000 as Archaeologist at the National Monuments Council.